The Netherlands birthplace of exotic dancer and World War I spy Mata Hari has been gutted by fire. Hari was born in the Frisian city of Leeuwarden, about 90 miles north of Amsterdam, as Margaretha Geertruida Zelle on 7 August 1876. 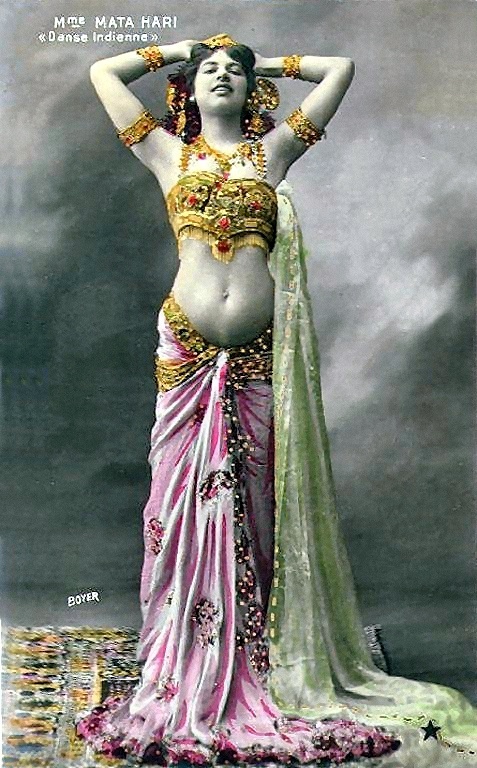 She travelled to Paris in 1903, where she became famous across Europe for her exotic eastern dances and liaisons with various rich and famous men. Hari was arrested and executed by firing squad in October 1917, aged 41, after being accused of being a German spy during World War I. The fire consumed several houses, but spared a small statuette of the mysterious woman dancing, that had been erected outside. This entry was posted in Events, News and tagged 1917, Amsterdam, Leeuwarden, Mata Hari, Netherlands, spy. Bookmark the permalink.